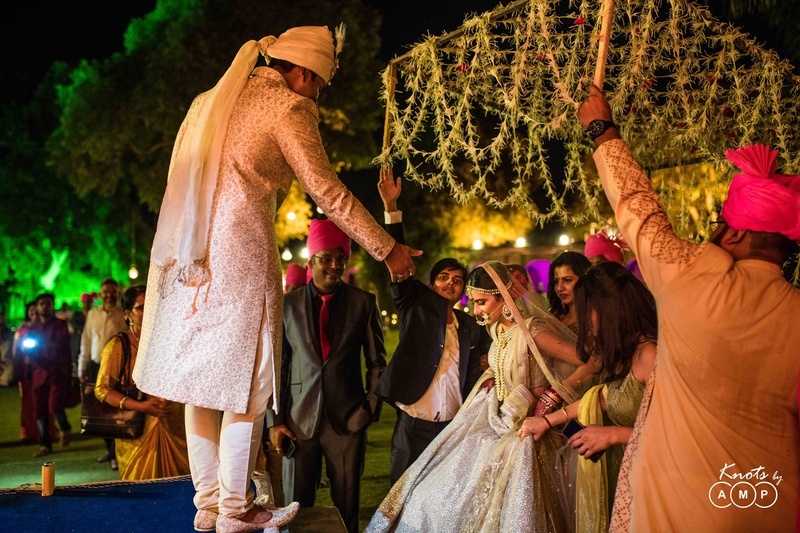 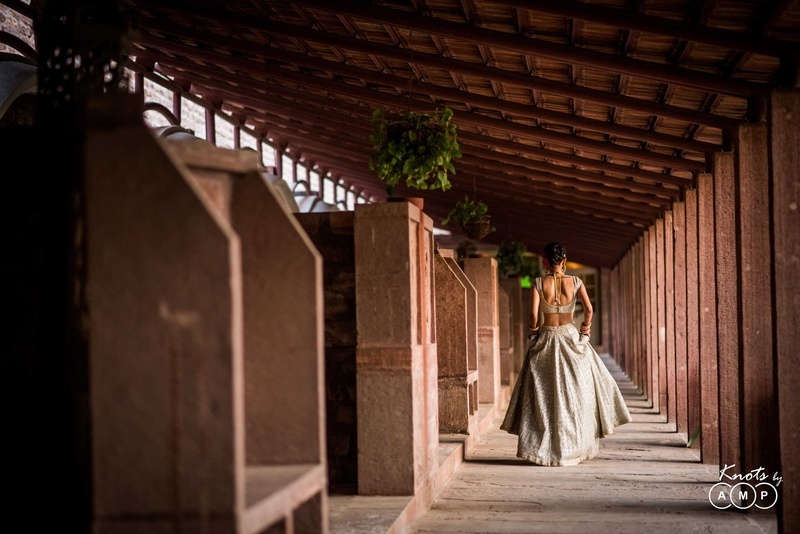 We saw the coolest mandap design ideas in this Jodhpur wedding! 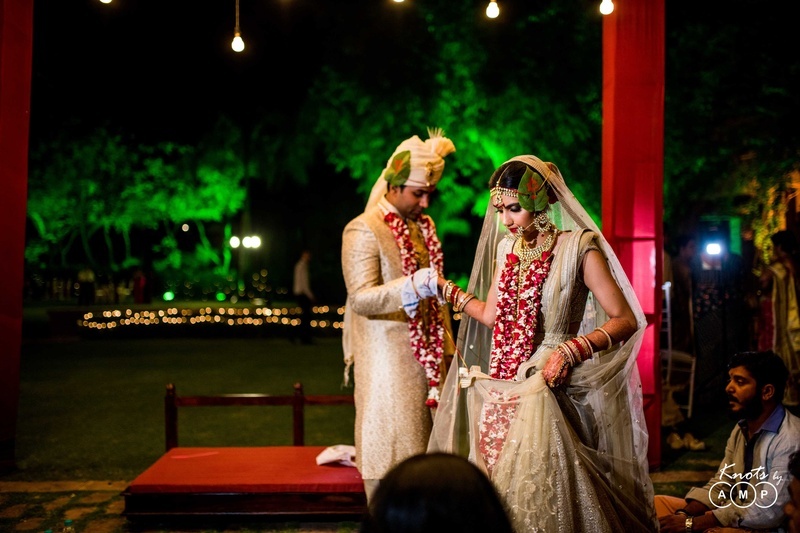 Richa and Abhilash, just got hitched in the most serene and beautiful wedding at Bal Samand Lake Palace, Jodhpur! 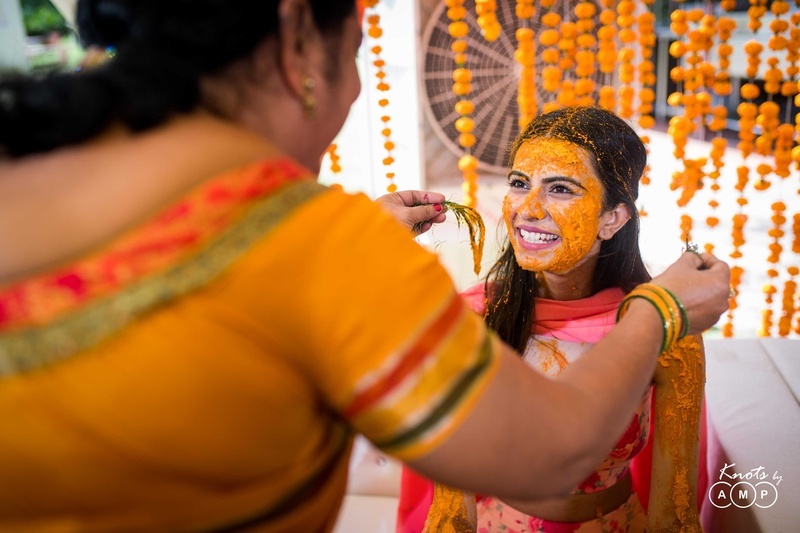 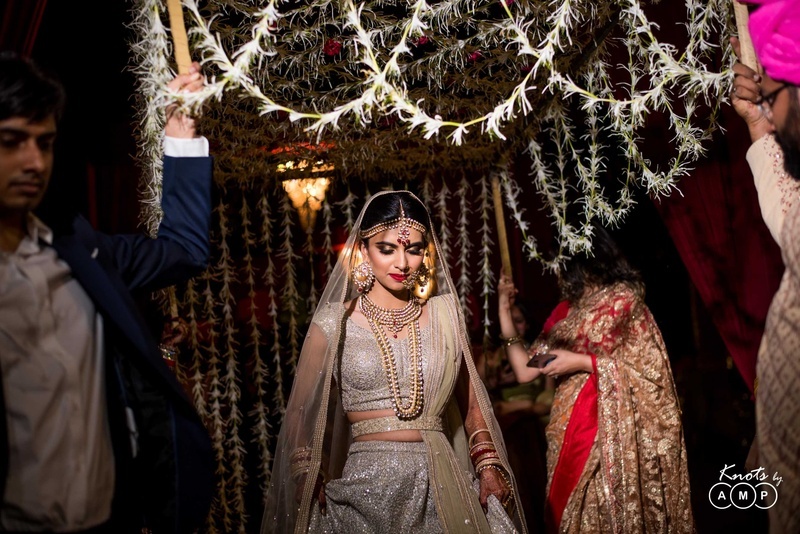 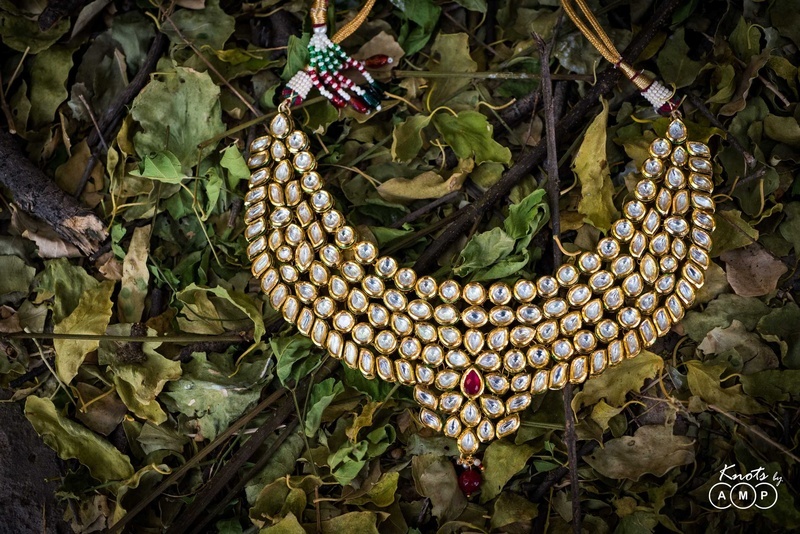 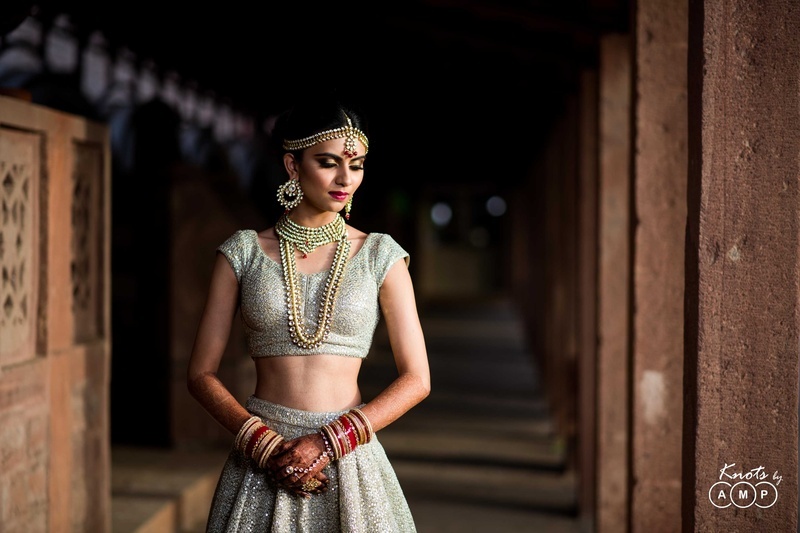 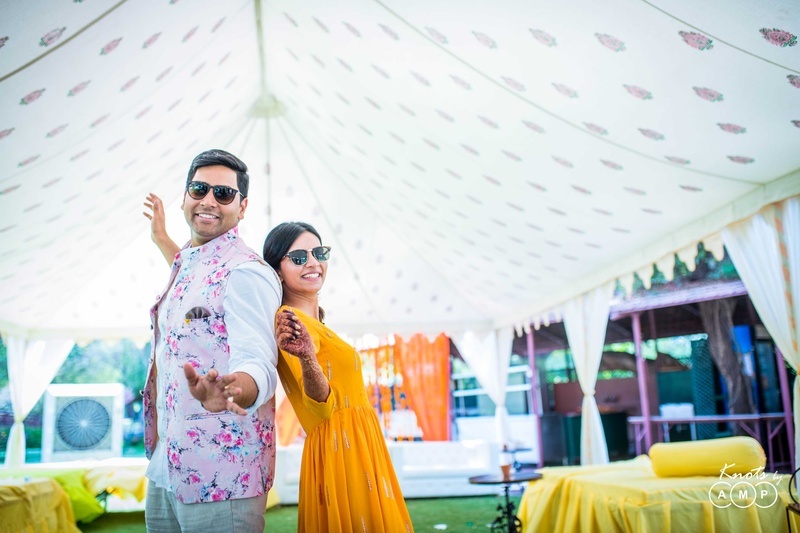 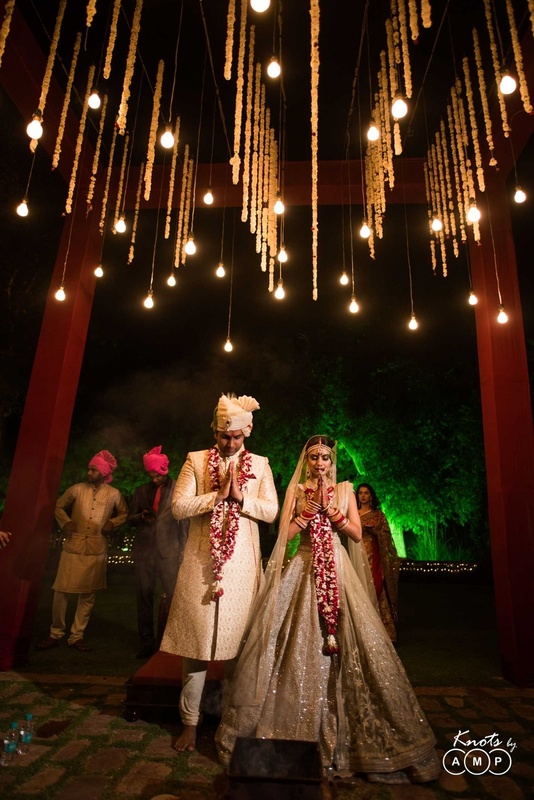 From an intimate haldi function to the most unique and intelligent mandap decor we've seen, this wedding has probably been the most beautiful and classy wedding! 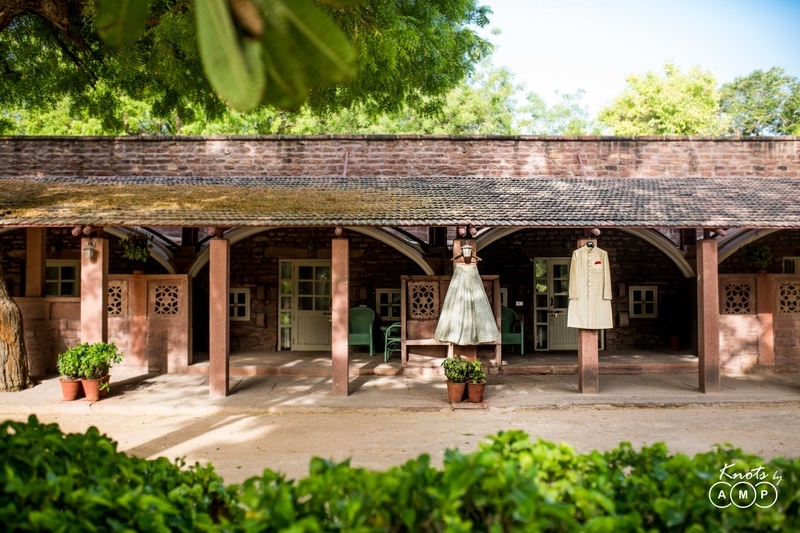 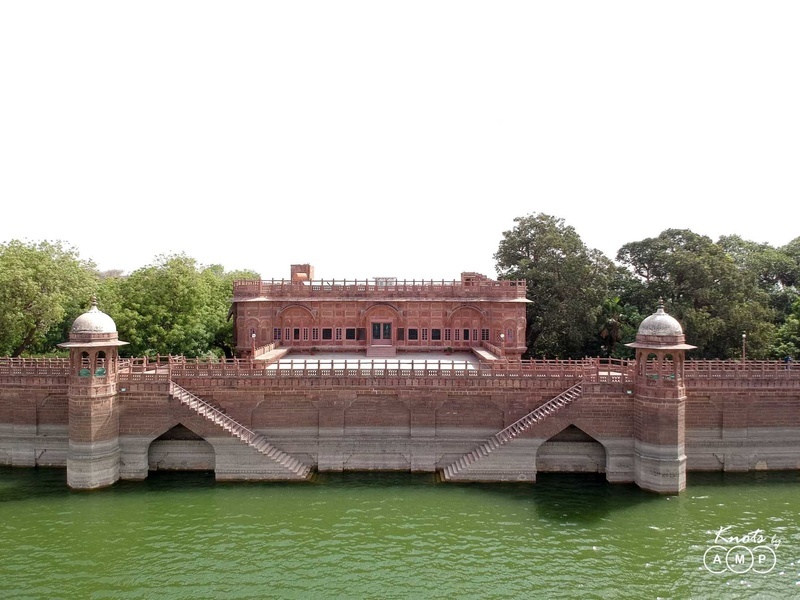 Choosing the international favorite of Jodhpur, the couple picked Bal Samand Palace for it's perfect blend of classic nostalgia and outdoor luxury. 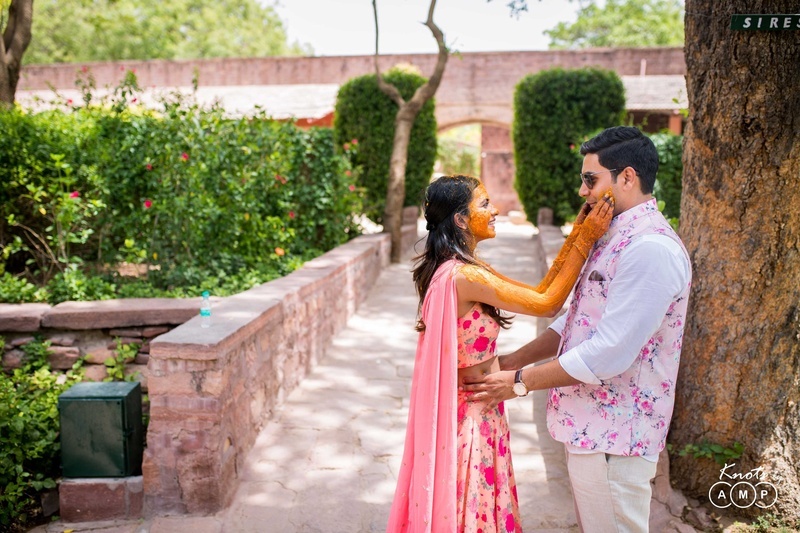 From a colorful haldi and grand wedding function at Bal Samand Lake Palace, Jodhpur the venue provided them with the atmosphere and look that suited the couple. 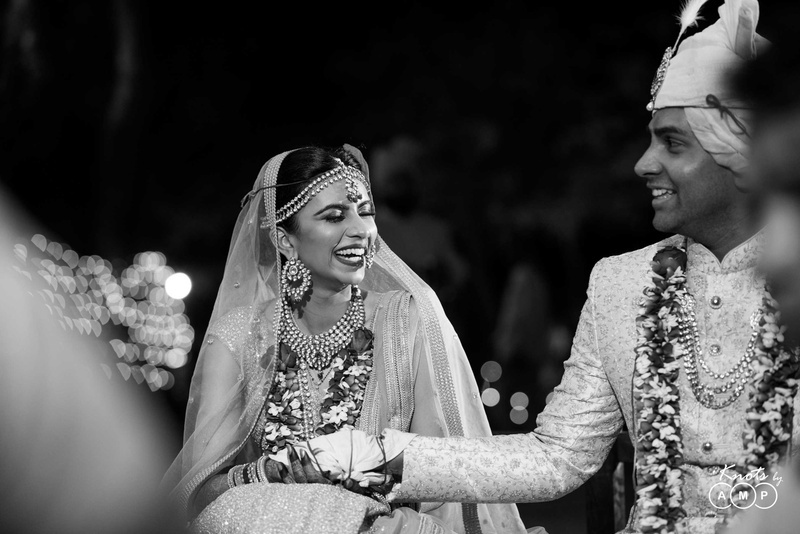 Richa the bride says in an interview, "On the outside, Abhi and I are worlds apart, so it's a miracle we ever managed to cross paths. 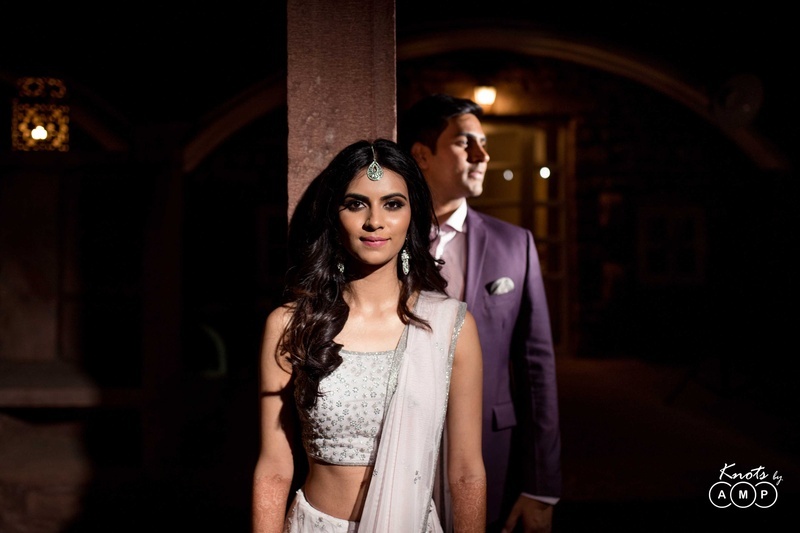 As we traded stories of skydiving in Spain and our crazy college escapades, our ‘quick little coffee’ was fated to be the most incredible first date. 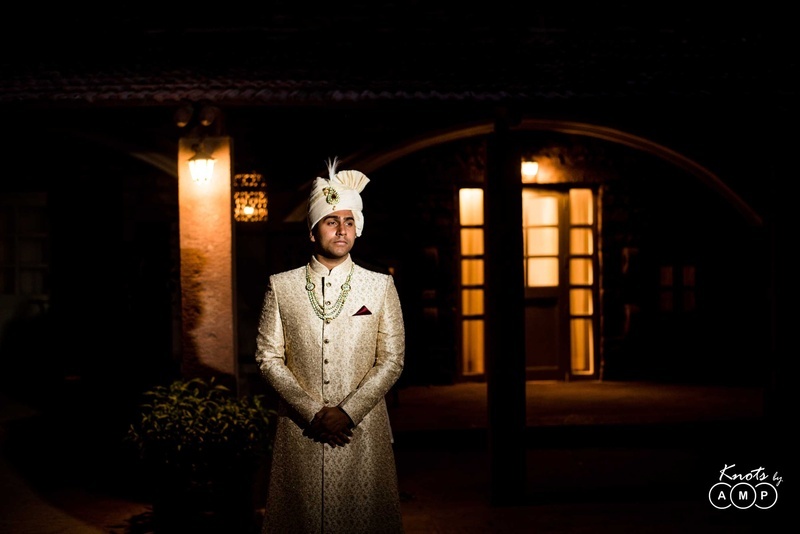 Abhi is a firm believer in destiny and says he always knew it was meant to be! 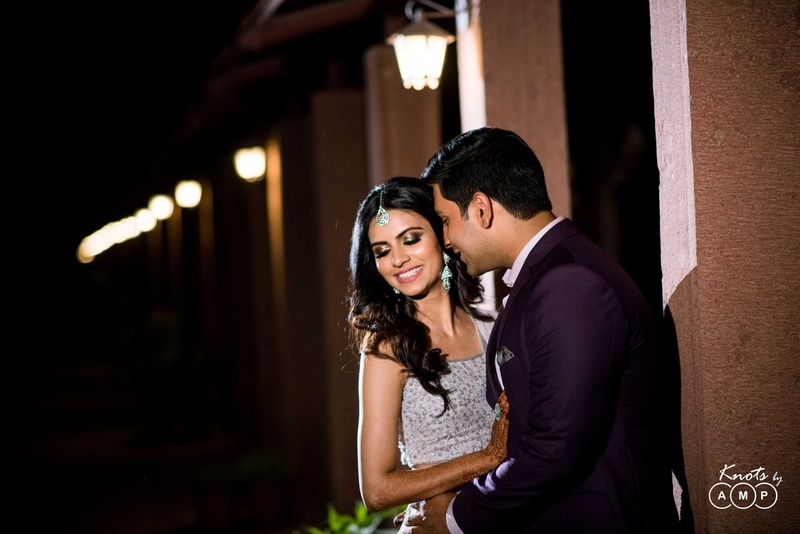 Over the years, one of our favorite things is discovering how well we work together to bring our two worlds closer to build something new we can call own." 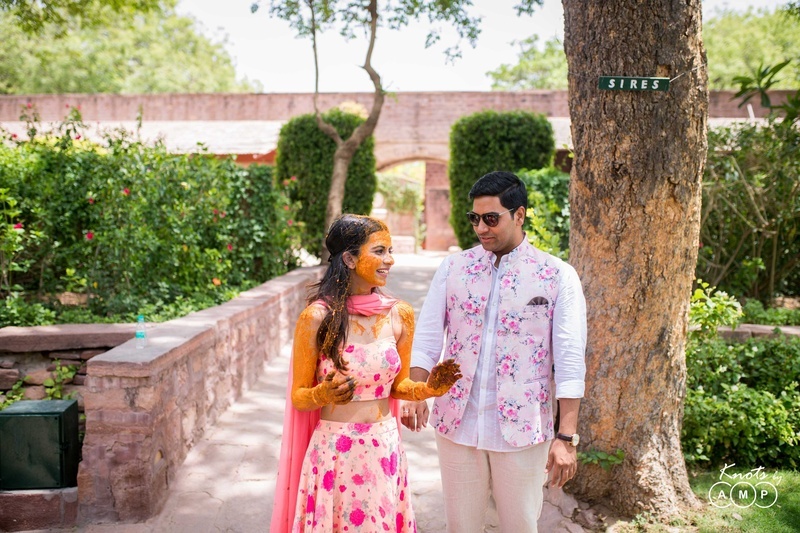 The wedding was preceded by a quick photoshoot of the two of us at the WelcomHeritage Bal Samand Lake Palace. 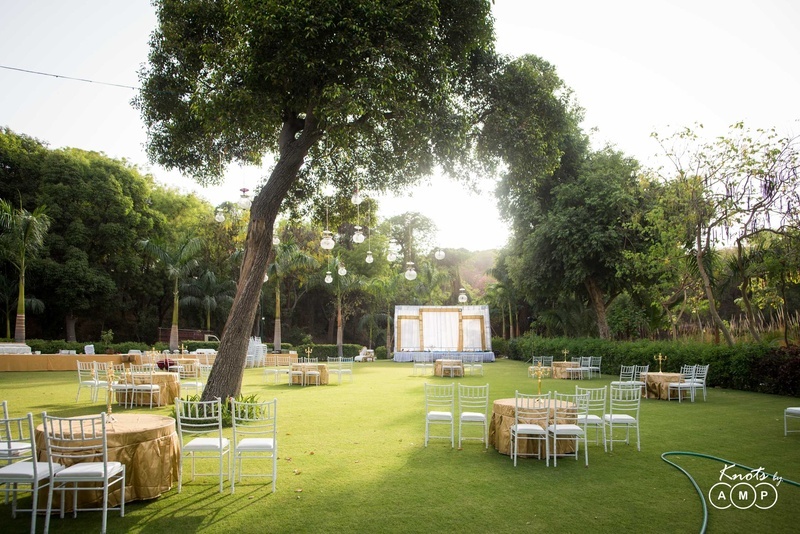 The hotel is rich with flora and fauna which served as an amazing backdrop for our portraits. 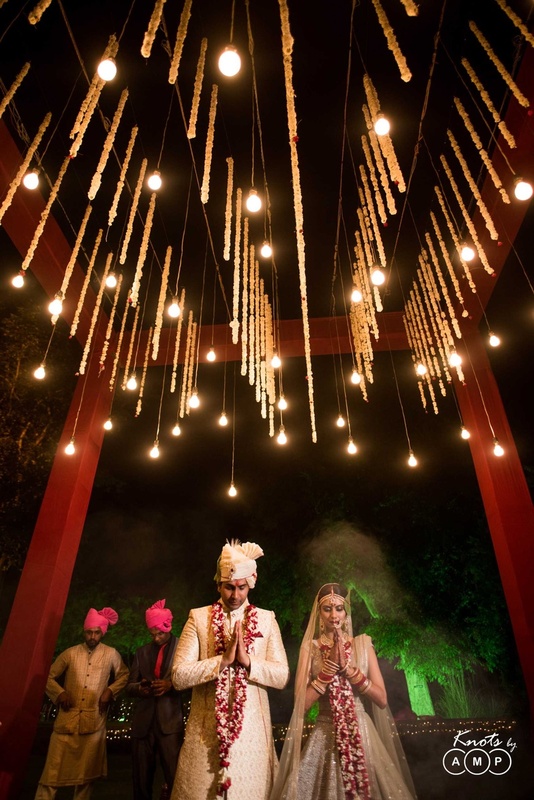 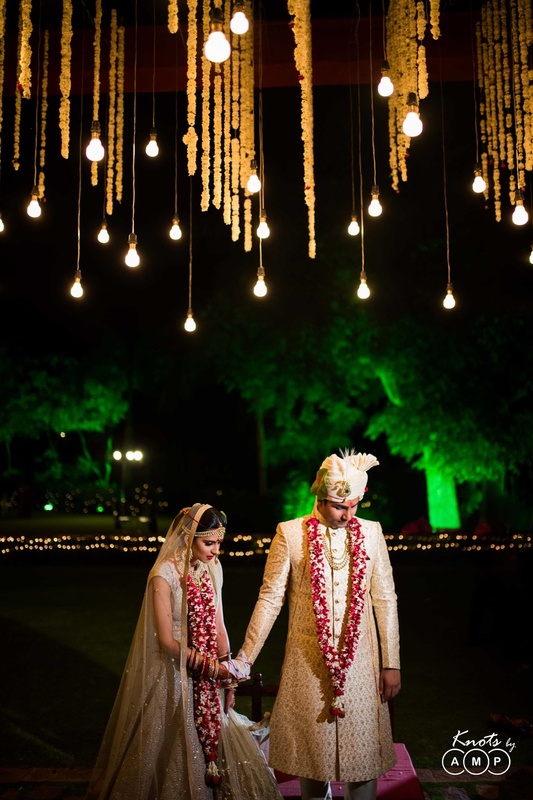 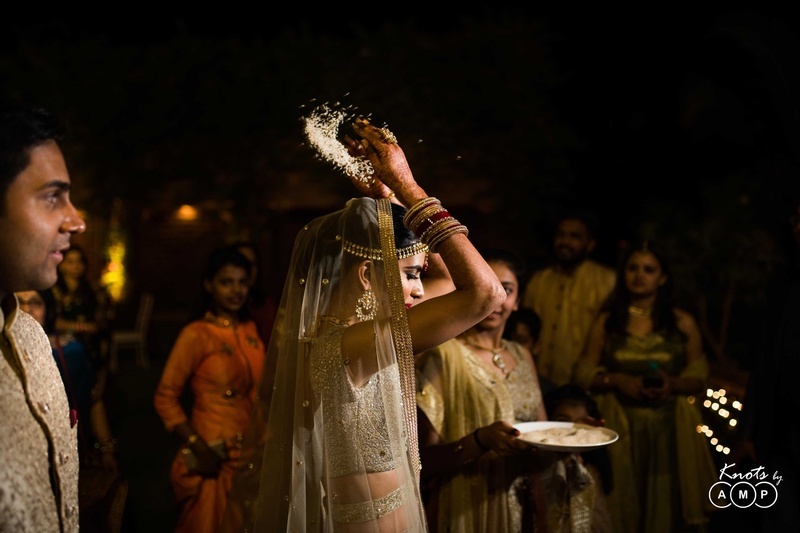 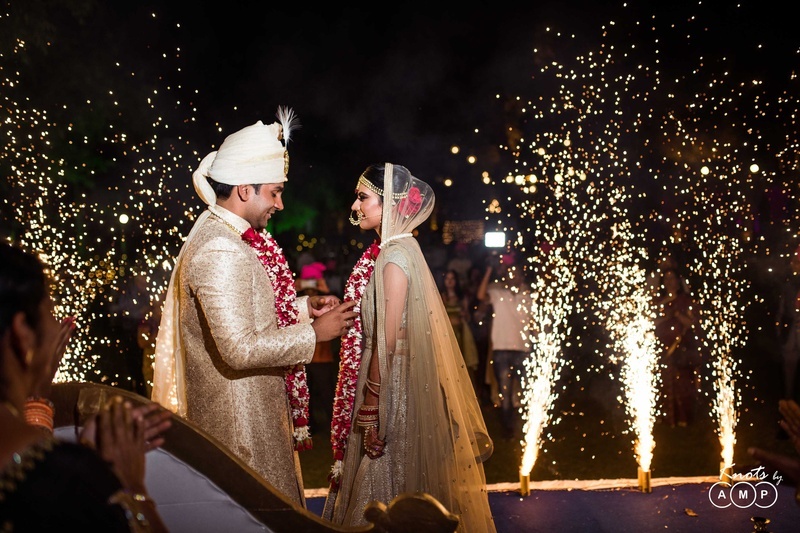 During our varmala several fireworks lit up the night sky and we exchanged our vows under a dreamy canopy that was decorated with fresh flowers and golden lights.